The “Fisherman’s Cottage” is located at the Last Chance Bar&Grill – in fact it used to be the restaurant until it was expanded into a new building in 2016. 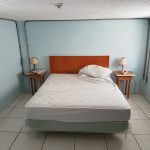 The cottage has been updated with air-conditioning, fitted kitchen and has two queen-size beds. 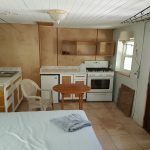 It retains its “rustic”character however……….there is an outside shower and bathrooms are located at the side of the bar&grill. 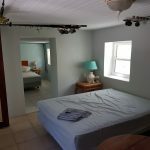 The cottage can accommodate two anglers comfortably – but you have to be more interested in the outstanding fishing than the luxurious accommodation ! From the elevated position of the cottage, you can survey the vista of the four main flats spreading across Bottle Creek and having consulted the state of the tide decide where to start fishing that day. 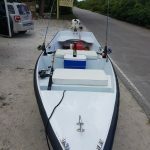 The boat is specifically designed to enable anglers to cruise the bank reaching up to the shallowest of water where the fish are feeding. 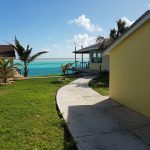 The basic package consists of three nights in the cottage and two days fishing the flats of Bottle Creek, North Caicos for marauding bonefish and is priced at $1975 for two anglers sharing. 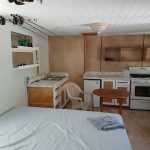 Add $635 for each additional night and day fishing. ** You may substitute in (two) single kayaks for each fishing day for $150/fishing day discount. 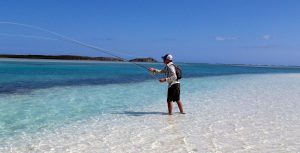 This includes drop-off and pickup each day – starting at the South end of the flats, the predominant wind pushes you gently across four or five good wading flats over the course of the day and you are then collected at the North end of the flats. 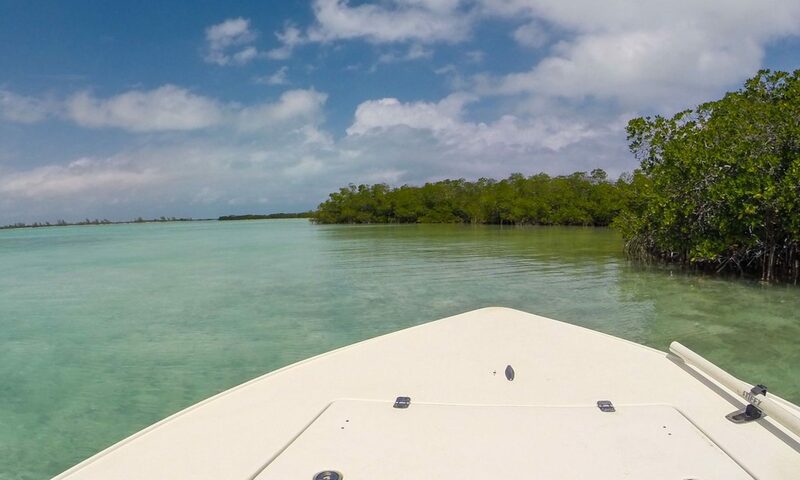 This means that the paddling is easy, you can anchor the kayaks and explore new territory continuously throughout the day – and get right up into the mangroves where large schools of bonefish reside. Launch&recovery of boat each day. All fuel. 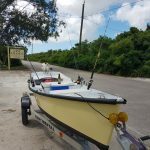 The flats skiff has been specifically designed and built for anglers to fish the skinny water of the flats. It is 13ft long and powered by a 2.5Hp johnson 4-stroke outboard. 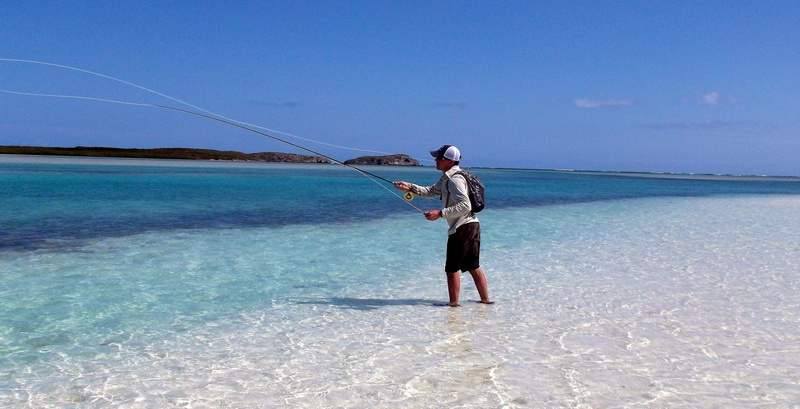 It is not a planing boat – but you don’t have far to go to reach fishable flats (5 minutes from the dock !) – it is designed to push high on the bank and will float in <4″ water. 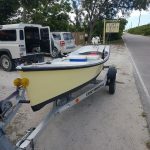 It is fully equipped with storage, flyrod holders, oars, anchor and life jackets. 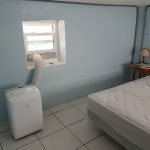 Address: Bottle Creek, North Caicos TCI.